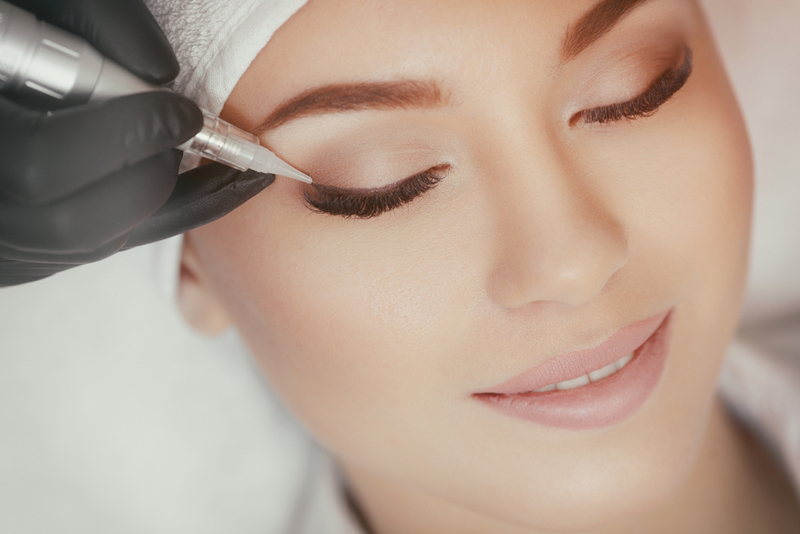 Permanent makeup is a smart solution for busy individuals. However, is it safe? The word Microblading is the new buzz word, but I beg to differ. This process involves cutting the skin open and infusing pigment. It looks beautiful the first time it is done but the problem arises in touch-ups. Since the skin is scarred now , you can’t cut open the skin several times to infuse pigment, it’s not healthy. Instead, I recommend a technique called “eyebrow shading.” It is much gentler on the skin and can be done year after year without scarring the skin. Always go to a licensed professional for your services. Someone who knows what they are doing to avoid skin issues, since it’s a semi-permanent procedure. Let’s keep our skin healthy and beautiful, always.